1/2" French headband insures ultimate comfort. 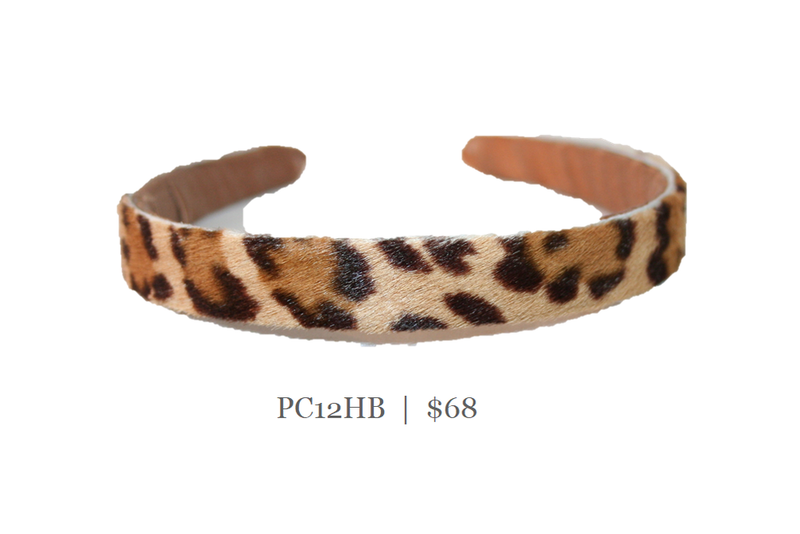 Wrapped with silk then topped with soft calfskin leather in this beautiful leopard print. Perfect for all seasons and works best in all hair types.